Civil rights groups fighting to release Sikh asylum seekers jailed by the Trump administration in Oregon are finally smelling victory. Over 120 asylum seekers, predominantly from India, had been jailed at Sheridan County Federal prison in Oregon state since June 2018. That was when the U.S. government started imprisoning anyone crossing the border. Now the government is releasing them one by one to the relief of campaigners. 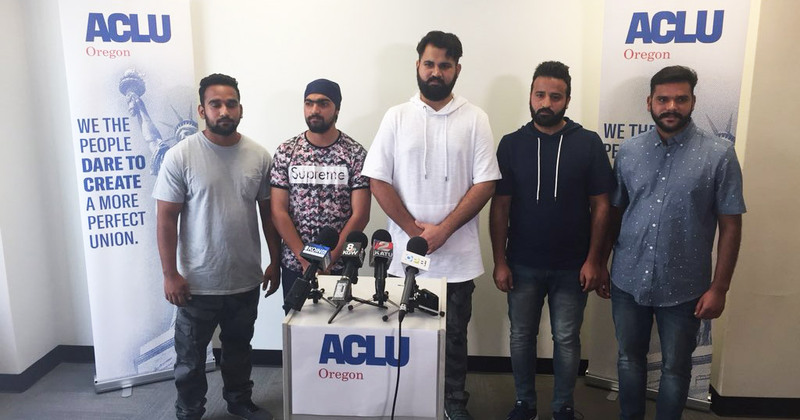 At a press conference on Wednesday at the American Civil Liberties Union office in Portland, Oregon, representatives from civl rights groups said some prisoners had been released and others should follow suit. Rights groups had filed lawsuits on behalf of prisoners, arguing they were being detained illegally and denied the freedom to practise their religion. There were reports that Sikhs were forced to cut their hair and Hindus were being fed beef. One of the men released this week, Lovepreet Singh, said he began his journey from India last November. He had crossed into the U.S. from the Mexican border in May and has been kept in prison since. Nine months after leaving Punjab he was free again. "Upon leaving the building, this young man got on his knees and kissed the ground and asked 'is this real'?" - said Victoria Muirhead at Innovation Law Lab. Navneet Kaur, a volunteer who had been translating on behalf of some of the asylum seekers, had tears of relief in her eyes while speaking to the press. She said had been getting almost daily calls from worried families of the prisoners. For almost three months these people had been kept in a "punitive environment" in a federal prison she said. Asylum seekers are not 'illegal' or 'undocumented' - they are classed separately under international law from migrants. Under international treaties that the U.S. has signed up to, anyone claiming asylum from persecution has a right to have their case heard. A Congresswoman who had earlier visited the prisoners said the conditions there shook her to her core. She said prisoners had been denied basic medical attention and civil rights. They are finally getting some respite. From left to right: Lovepreet Singh, Lovepreet Singh, Karandeep Singh, Kanwarjeet Singh and Harjinder Singh.